Scott W. Taylor is a retired American Navy SEAL and the United States Representative-elect for Virginia’s 2nd congressional district, representing the Republican Party. Scott was raised on the Delmarva Peninsula in Hebron, Maryland and began working on a farm at 11 years old. Around this time Scott was introduced to the Big Brothers/Big Sisters Program of America. His Big Brother changed Scott’s life and helped set Scott on a path to success and leadership. After graduating high school, Scott wanted to serve his country so he joined the Navy, more specifically, the Navy SEALS. Scott served in the United States and Latin America, where he learned a fluency in Spanish. Scott re-enlisted in the Navy after 9/11, and was sent to Baghdad/Ramadi as part of Operation Iraqi Freedom. He was severely injured while on a combat mission and thus returned back to the States. In years following, as a civilian, Scott traveled to the Middle East over numerous years advising 9 multinational companies on security and asset protection. In 2013, Scott was elected to the House of Delegates, representing families in the 85th District of Virginia. As a member of the House, Scott has been a successful legislator on issues important to families. His legislative accomplishments include matters dealing with energy, workforce and veterans issues. 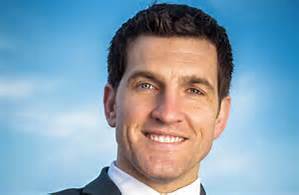 Scott Taylor knows the responsibility and pride of wearing the nation’s uniform and the incredible sadness of burying great friends and comrades. As a member of the House of Delegates, Scott is able to use his own first-hand experience in the military to understand the needs of all veterans, military retirees and their families, so he can make positive changes in legislature to be sure that all are treated with the dignity they deserve.